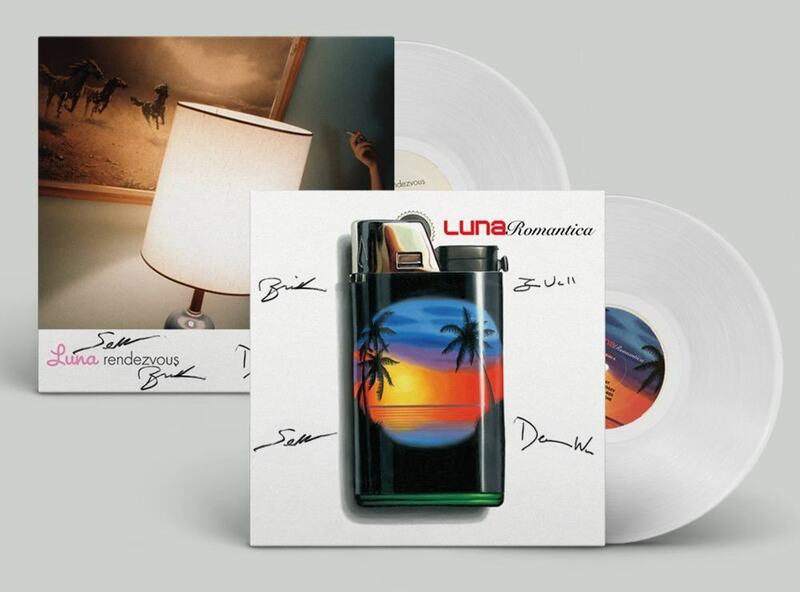 Luna are reissuing their last two records, Romantica and Rendezvous on vinyl in January. The albums will be released on clear vinyl and a limited number are being signed and sold through Pledgemusic along with optional "Wisco" hats (I think because they come from Wisconsin). The Luna Pledgemusic page has a number of package options from just the LPs right up to package containing both LPs and both hat designs. On January 27, 2017, Double Feature will release limited clear vinyl editions (1,000 copies only) of Luna’s last two albums, 2002’s Romantica and 2004’s Rendezvous. Both LPs come with download cards. These titles were released on black vinyl for Record Store Day 2012 and sold out immediately. These LPs were not included in the 2015 Captured Tracks box set of Luna’s Elektra recordings (Long Players ’92-’99). Get yours before they disappear again. We have a small quantity of signed copies available for pre-order — signed by the band: Dean, Sean, Lee, Britta.